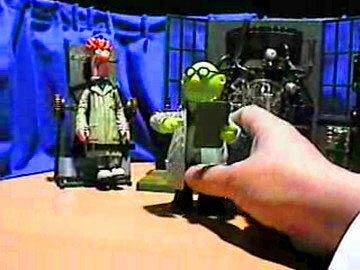 Dr. Honeydew invented the sin eliminator and tested it on Beaker. His experiment didn’t go as planned but turned out for the best when the scientist discovers that Jesus can forgive sins with no more need for formulas and experiments. 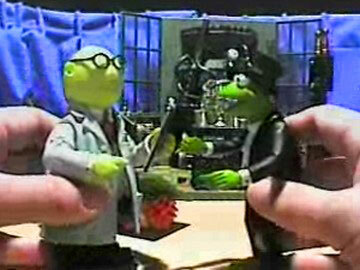 Dr. Honeydew prepares the sin eliminator to get rid of Beaker’s sins. The experiment didn’t seem to work. Kermit told Dr. Honeydew that only Jesus can wipe away and forgive sins. Dr. Honeydew learned a wonderful lesson and committed his life to Jesus. 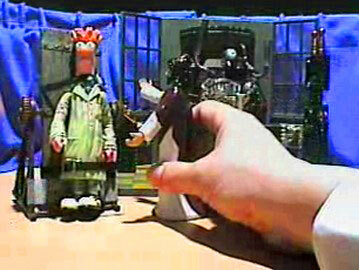 Jesus helped Beaker and forgave all his sins. This entry was posted on Friday, March 30th, 2018 at 12:00 pm	and is filed under Beaker, Dr. Honeydew, Jesus, Salvation, Season 1. You can follow any responses to this entry through the RSS 2.0 feed. You can leave a response, or trackback from your own site. Beaker, Dr. Honeydew, Jesus Salvation, Season 1 Just thought you might want to know that the volume was lost with two minutes left. Thanks for everything. « It’s Time for a Galactic Christmas!